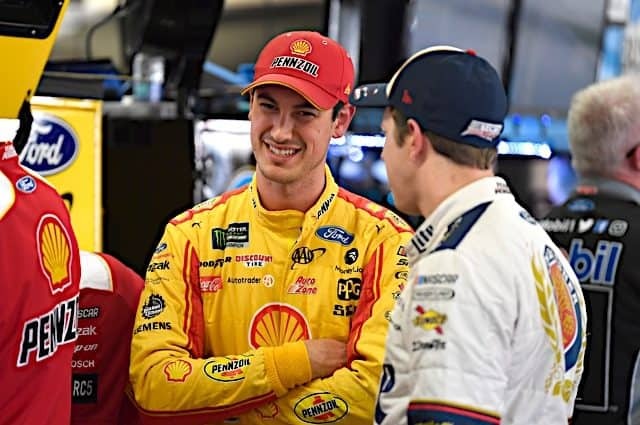 Two months into the 2018 Monster Energy NASCAR Cup Series season, Stewart-Haas Racing has been the sport’s dominant team. 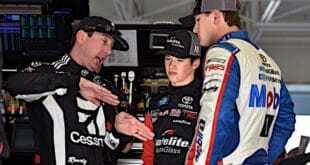 They’ve won four of the six races thus far and have all four drivers inside the top 11 in points. Most everyone would have expected multiple race victories from Kevin Harvick (perhaps not quite at this clip), but Clint Bowyer’s first win in 190 races is arguably as big as Kurt Busch’s Daytona 500 victory to start out the 2017 season. The results on track are showing just that. Next for SHR will be wins and playoff berths for Kurt Busch and Aric Almirola who still carries a 132-race winless streak of his own. The other big question is just how many races might Harvick win this year? A savvy, veteran champ who knows how to win in great equipment is a dangerous prospect for the rest of the field as the driver of the No. 4 Ford Fusion has shown already. Yes, there are many races still to be run, but so far, so good for SHR in 2018. It will be interesting to see if they can continue this fine form as the weather heats up. After the off weekend for Easter, festivities resume this Sunday afternoon at Texas Motor Speedway with the seventh race of the 2018 season. The mile-and-a-half quad oval is also the site of the always crucial eighth race of the NASCAR playoffs. This weekend will mark Cup race number 35 at the Fort Worth circuit and, as will be the case more often than not this year, Jimmie Johnson tops the active driver charts. All told, the seven-time champion has seven wins, five more than the next closest — Kyle Busch and Denny Hamlin, who each have a pair. The early evidence so far in 2018 has shown Johnson as anything but a threat. Could Texas be the race he breaks through? 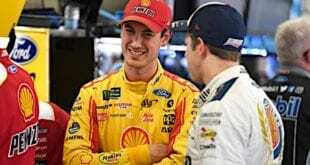 Given the way SHR and Team Penske are running, not to mention the Toyotas of the champion, Martin Truex Jr., Kyle Busch and Hamlin, perhaps not. But it will be an important marker for the veteran HMS team, that’s for sure. Given the results thus far, Harvick is probably the favorite as you set your fantasy lineups. After a pause in the on-track action, there’s a full slate of racing this weekend with a return to competition for both IndyCar and Formula One. 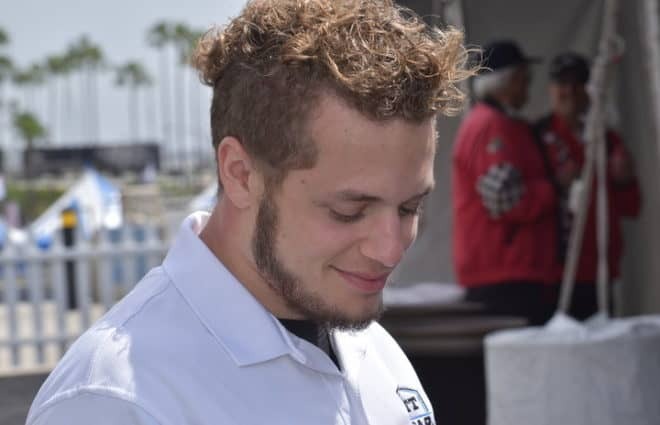 For the American open-wheel series, it’s the second race of the 17-race season at ISM Raceway in Phoenix after an exciting opening race at St Pete’s. Remember that? It was an emotional win for Sebastien Bourdais and a crushing late-race disappointment for rookie Robert Wickens who led 69 of 108 laps. Formula One, meanwhile, will also race for the second time in 2018 at Bahrain International Circuit – the 14thstraight visit to the track. In the first race of the year, Lewis Hamilton looked to be cruising to victory before Ferrari and Sebastien Vettel took advantage the deployment of the Virtual Safety Car to come out ahead of the Brit in what was ultimately a race-winning move. For both open-wheel series, 2018 should be a good one. If you’ve not been watching, why not give it a look this weekend. This weekend marks the start of a spell of six Cup races in a row before we hit the All-Star weekend. Then it’s three more races before the mid-June off-weekend. With the additional off week this season (four in total rather than three as in 2017) the schedule is more balanced. That should help the participants as they navigate the longest schedule in professional sports. With that in mind, after Sunday’s race in the Lone Star state we have three classic NASCAR tracks in a row. 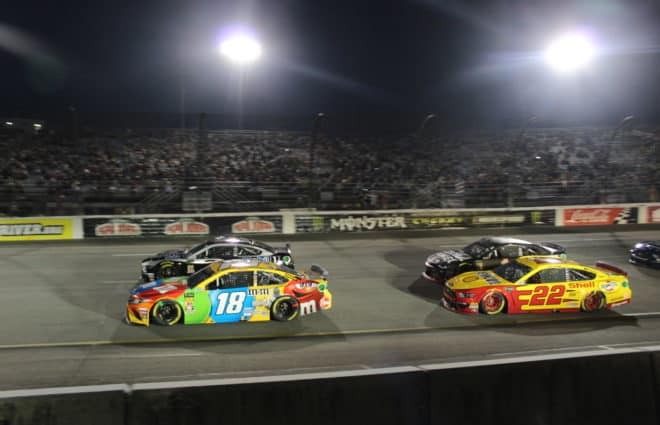 Consecutive trips lie ahead to Bristol Motor Speedway, Richmond International Raceway and Talladega Superspeedway. Nothing in life is a given, as you know, but with three great circuits in a row, chances are we’ll see some good action. The lack of the dreaded “aero push” so prevalent at the cookie-cutter tracks for three blissful weeks can only help here too. 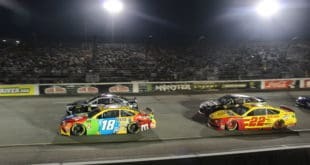 Two of the upcoming tracks are playoff venues (Richmond, new this year and of course Talladega) while Bristol at race number 24 of 36 is one of the last chances before the playoffs begin. Let’s hope these events give the sport a little boost in what’s been another slow start for NASCAR in 2018. 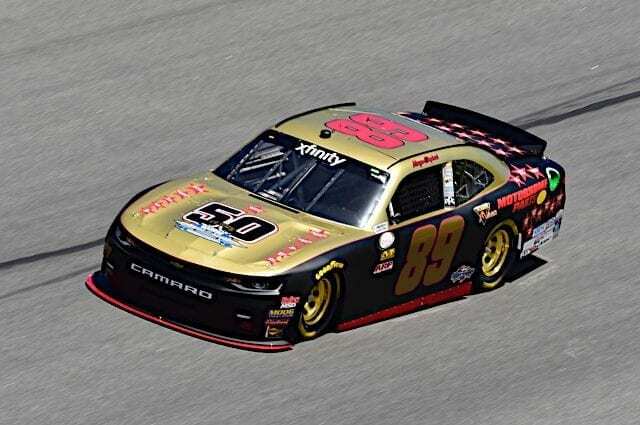 Finally this week, a quick shout out to the ageless Morgan Shepherd who at 76 years young will race in his 1,000th NASCAR race this weekend – provided, of course, that he qualifies. 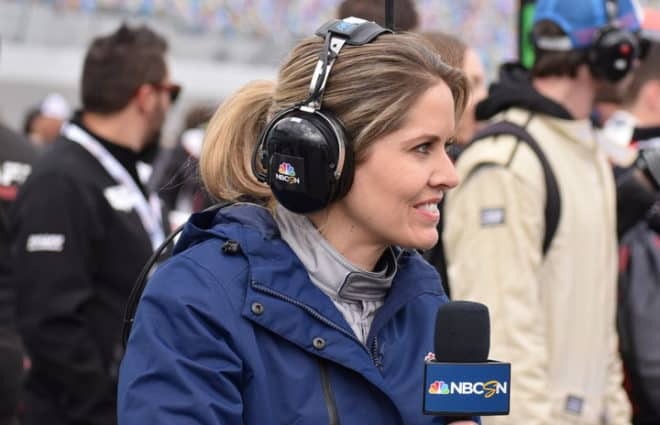 Shepherd’s total breaks down to 517 Cup races, 425 XFINITY Series races and 57 runs in the Truck Series. His first race was all the way back in 1970 – some 48 years ago – at Hickory Speedway the 28-year-old started 10th and finished 19th. 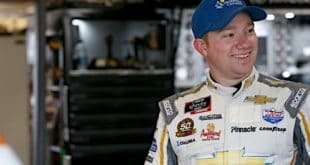 Yes, Shepherd’s first big NASCAR event came when he was some 10 years older than Chase Elliott and William Byron when they moved up. And in 2018, long past retirement age, the man’s still going strong. “I’m not never stopping,” said Shepherd in an ESPN interview. “When I stop, my toes will be turned up….I enjoy the race fans and the racing. God has blessed us being here this long.” Indeed he has, Morgan, indeed he has. Good luck this weekend!